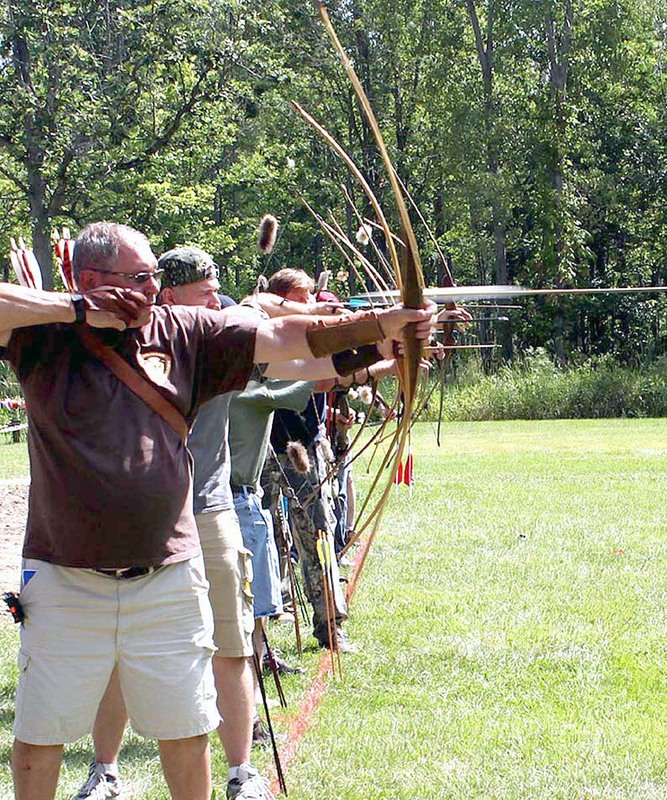 Archery enthusiasts looking for a weekend of fun and friendly competition are invited to the annual Great Lakes Longbow Invitational at Historic Charlton Park, Aug. 11-13. Admission is $6 for those 16 and up, gate fees and activities are free for children 15 and under. The event includes archery-related activities for all ages and skill levels, including tomahawk throwing, breaking clays at the ‘Ol Sagamore Turkey Shoot, and a chance to hear archery experts around the campfire. The meet is hosted by the Michigan Longbow Association. The group, formed in 1983 by a small group of longbow enthusiasts, promotes using the longbow, and takes pleasure in the camaraderie of other traditional archers who enjoy the sport. “Our goal as MLA members is simple: teach people about the longbow and archery, and promote an appreciation of the outdoors. There are few activities as inclusive and unifying as archery, and the longbow is a beacon for all of the above. We love nothing more than sharing it with folks," MLA President John Buchin, said. For details, visit www.michiganlongbow.org/glli. Photos: (upper left) Competitions for all ages and skill levels dominate the Longbow event. This file photo shows just one of the contests. 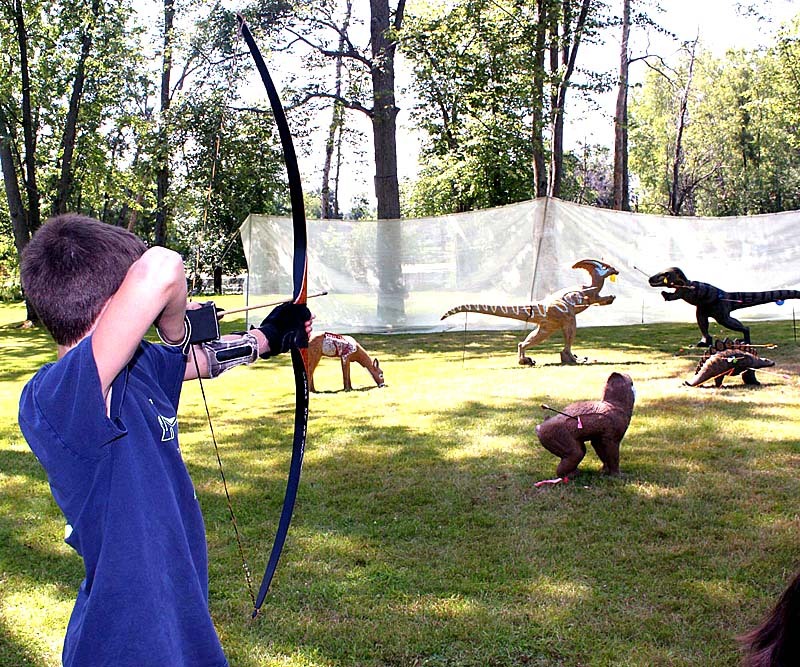 (lower left) Children and youths practice their aim at set-ups especially for them at the Longbow days at Charlton Park. This one has a jurassic theme.